Responsible for monthly closing and reporting. Review full set of and analyzing details account reconciliation and variance analysis to ensure the integrity of monthly, quarterly and yearly. Focus on the trade pay able area. Involve within the monthly management reporting. Male ( max.32 years old). 3 years minimum experience in Accounting, General Ledger, Account Payable. Excellent in computer skills (MS Excel), experience with SAP is beneficial. Good command in English (oral and written) is beneficial. Having Tax Brevet A & B Certificates. Monthly sales and production reporting. Assist in month end closing and forecasting tasks. Assist in budgeting and planning. Having a minimum of 3 years experience in relevant function is preferable. Responsible to define, develop and implement sales marketing activities with customer service and top accounts to support the growth plan and increase the focus products share, marketing budgeting, implementation of campaign in focus country for focus product. Achieving business target by tracking and speed up implementation channel & trade marketing strategy in the Region. Bachelor Degree in Marketing or other subject. Having a minimum of 5 years Marketing (Prior knowledge in distribution expansion or trade marketing is preferable). Computer literate especially in MS Office, SAP/BW, All Marketing IT Tools. Result and process oriented. Good leadership, communication, negotiation, sales analytical skills, and understanding for Supply Chain. For detailed information, please refer official source on following link below. 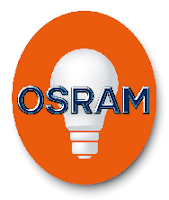 Please sent your application letter with photograph, comprehensive resume and quote the position code as a subject including telephone number and email to: recruitment@osram.com. Please quote position code in email subject. Attractive remuneration package will be offered to the right candidate.